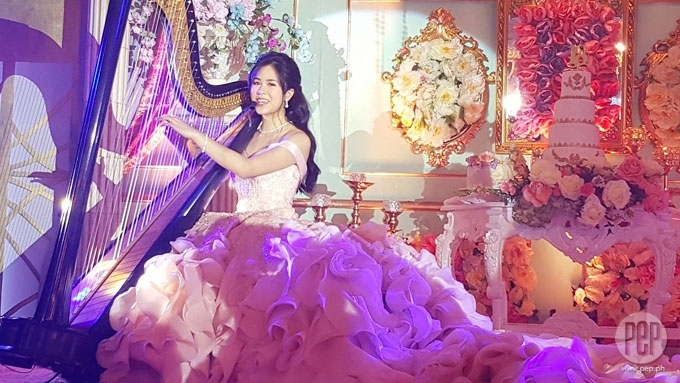 Debutante Kisses Delavin entertained the guests with her harp and rendition of "La Vie en Rose," which means "Life in Rosy Hues." What's a grand party without a grand set-up? Kisses Delavin's parents made sure their unica hija would have a debut fit for a princess. Her dad Gilbert and mom Carrie actually started saving money for this once-in-a-lifetime moment since Kisses was a little girl. Thanks to the expertise of event stylist Teddy Manuel, the beautiful debutante and her Francis Libiran gown were given a breathtaking backdrop. What did it take to transform Makati Shangri-La's Isabela Ballroom? Here are exciting details you should know. 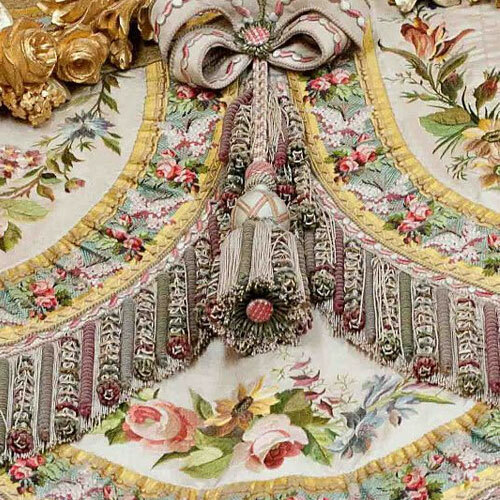 The concept, according to Teddy, was inspired by the "era of Marie Antoinette integrating a French Parisian chic." 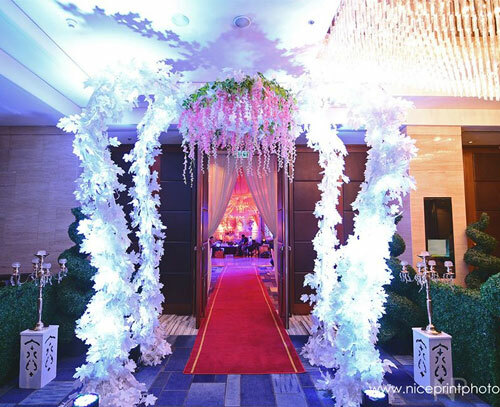 In a text message sent to PEP.ph (Philippine Entertainment Portal), he elaborated how the elegant theme was achieved. 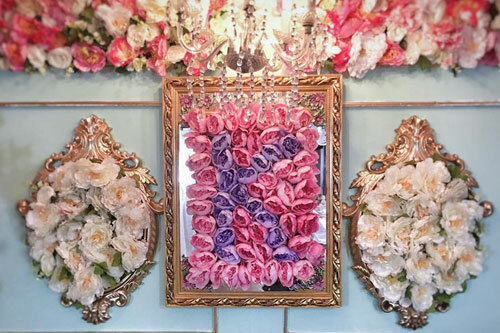 "It was reflected on the centerpieces with hand-carved frames, gold, crystal, lace, and pearl accents to complement the white, peach, and pink flowers." 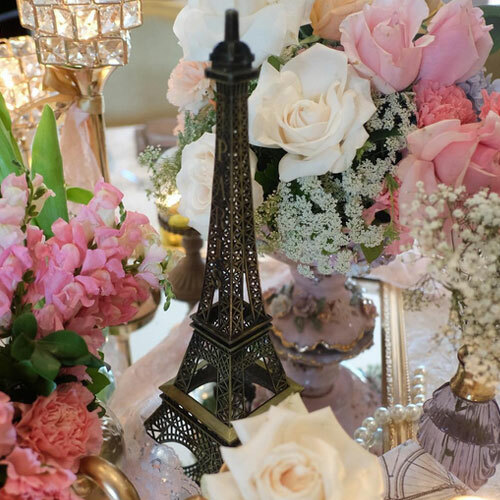 The miniature Eiffel Tower added the "French flair." There was also a crown-shaped canopy near the entrance. Teddy used 11 varieties of real flowers plus fillers. 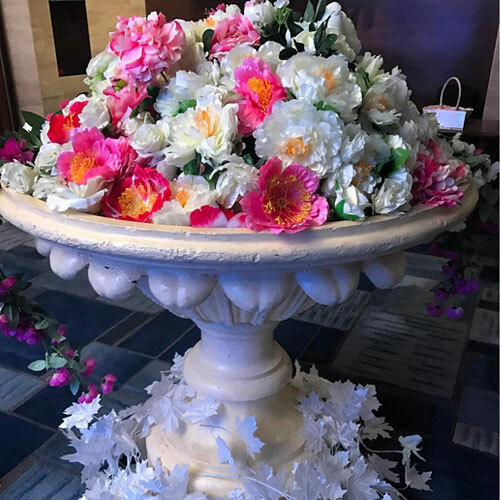 These were the type of blooms his team brought to the venue: "white, peach, and pink Fado, Hermosa, and white chocolate roses." 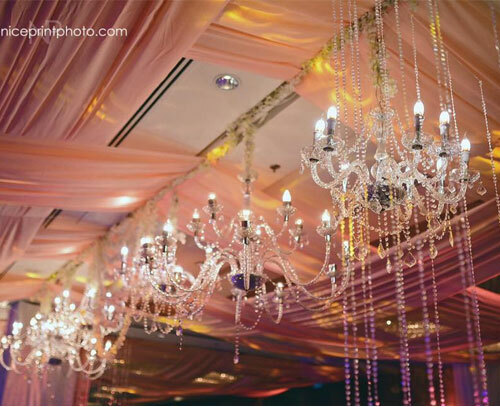 To further soften the look of the main stage, the ceiling had "woven peach fabric and chandeliers." 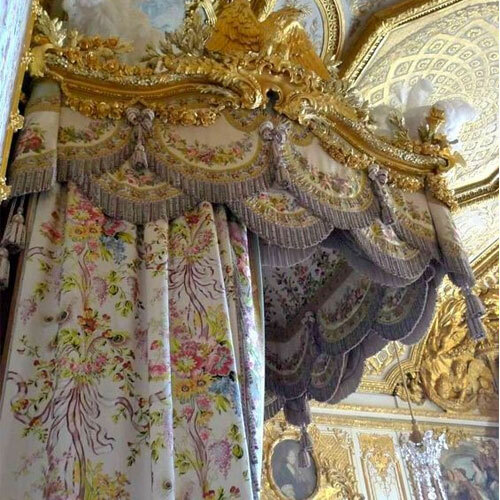 He added, "Painted panels with gold trim adorned with flowers serve as the backdrop for the debutante and her harp as she entertained the guests." 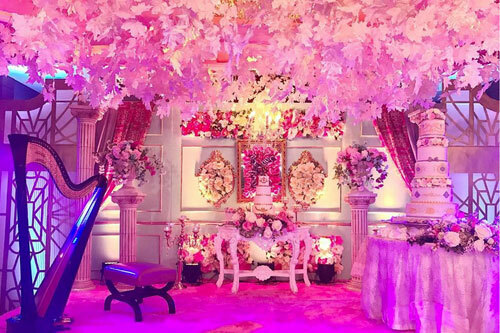 Wondering how long did it take for his team to execute everything—from the styling to entrance to stage to ceiling decorations to the floral centerpieces? Teddy answered, "Two days and a team of 25 people." Now here's to give you a glimpse of the "#TeddyManuelExperience." 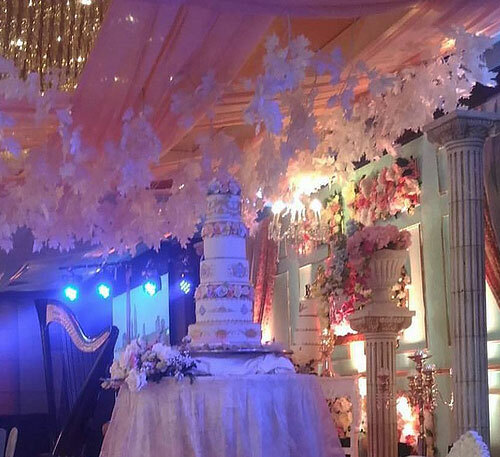 If you want the same grandness for your party, the famous event stylist said, "Our fees are flexible depending on the styling requirements of our celebrant." He guaranteed, "Our goal is to help them achieve the debut they deserve." For inquiries, check out @teddymanuel on Instagram and his website.